When it comes to setting up fun activities and more for events and special occasions like weddings, graduations, parties, and more, there are always a few things that you can count on to do and enjoy effectively. 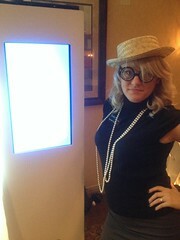 One of them is the trusty old photo booth! Photo booths have been around for some time, but they have never been more fun than they are today, with new technology, new themes, and more! We have four different photo booths that you can choose from, so you are able to choose different styles and themes based on whatever may be right for you and your party or wedding. No matter what the ceremony is, one of our photo booths will surely be the perfect match for what you want to get out of it. Everyone gets a photo strip when it comes to our photo booths, too – that means everyone leaves with great memories and amazing fun and you can always look back at it with laughs and enjoyment as you go. Creating memories is what it’s all about, after all, and our photo booths can do that very, very well when it comes to making sure you get all you can out of the booth itself. 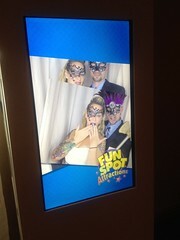 When it comes to technology, our photo booths are top of the line. You can upload all of your images to social media to share with friends from across the country who couldn’t make it to the event, and you can send the photos immediately through email and SMS technologies to ensure delivery and that everyone can see what you are up to. These aren’t your grandpa’s photo booths, as we can provide the top-notch technology to ensure you have memories that can not only last a lifetime, but be shared on your Twitter and Facebook accounts in mere seconds! Scrapbooks are better than guest books, after all – creating memories for yourself means giving yourself (and the guests to your event!) something that they can cherish forever and always think of fondly. Photo booths are the simplest, and also the most effective ways to do that, and when you rock the photo booth for your next event, you can ensure that you get a great experience for a great price, with a wonderful result for all of your guests. 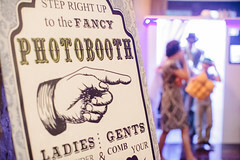 All in all, photo booths are certainly the way to go for your next event. We’ve got several to choose from that can allow you to pick the very best one to match your needs. Plus, it’s something that all guests truly do enjoy, no matter how old or young they may be, or what they may want out of your event. Make the choice today to grab a photo booth for your next event, and rent one knowing that it will be a big hit destined to create enjoyable and lasting memories among your guests and all those who show up to your party, wedding, or ceremony!